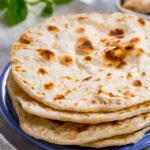 Unleavened bread is a flatbread that consists of no rising agents. Known as Matzah within the Jewish community–it represents a symbolic element with great importance. This 3 ingredient recipe is a great way to incorporate a Biblical approach to the Passover holiday. Many variations of flatbread can be made for meals any time of year. However, if you strictly want to follow the Halakha (Jewish law) for Pesach (Passover) then Kosher flour such as wheat, (preferably a kind that doesn’t come into contact with water at any stage during its production) is recommended. But that doesn’t mean you can’t make unleavened bread with the flour you have on hand. That being said our Passover is Christ, “For Christ, our Passover lamb, has been sacrificed” 1 Corinthians 5:7 however, that doesn’t mean we can’t meditate upon the scriptures and look unto the old testament as examples of God’s redemption upon His people. 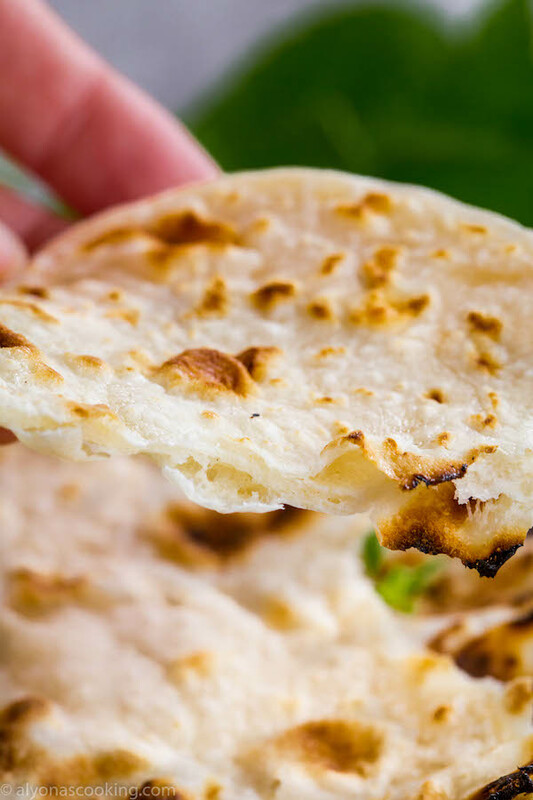 Passover is a great opportunity to make unleavened bread especially to give meaning to the Passover holiday so that God can be glorified and pondered upon during Passover, for He is worthy. I’ve omitted olive oil for this recipe to make it more of an authentic unleavened bread but 4 Tbsp of olive oil could be used to make this if you are not strictly following Jewish regulations. It is possible to bake the entire batch by rolling out, scoring and baking about 3 minutes on each side. Serve this bread along with a fresh salad from greens and pair with these delicious Easy Grilled Chicken Kabobs and some ranch dressing dip. 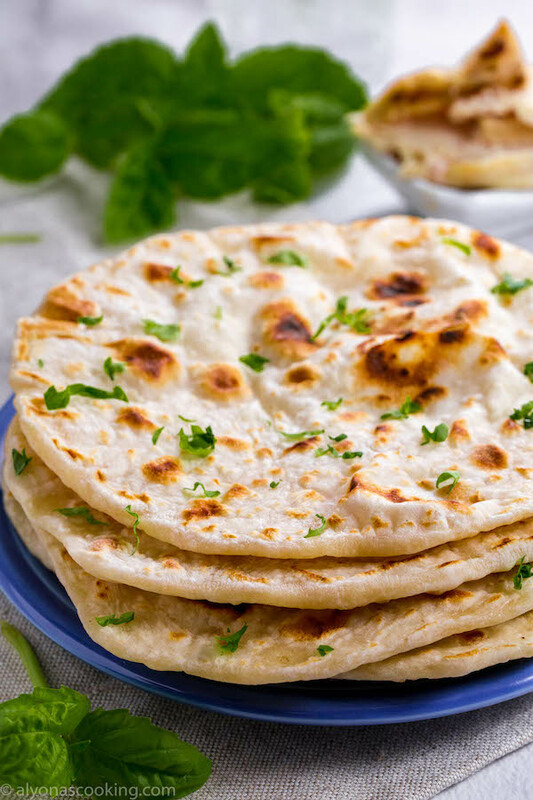 It’s like eating naan bread but without leavening! 1. Combine the salt and flour together in a large bowl. Stir in the water until the dough comes together. Knead for 5 minutes. 2. Pre-heat skillet over medium-low heat. 3. 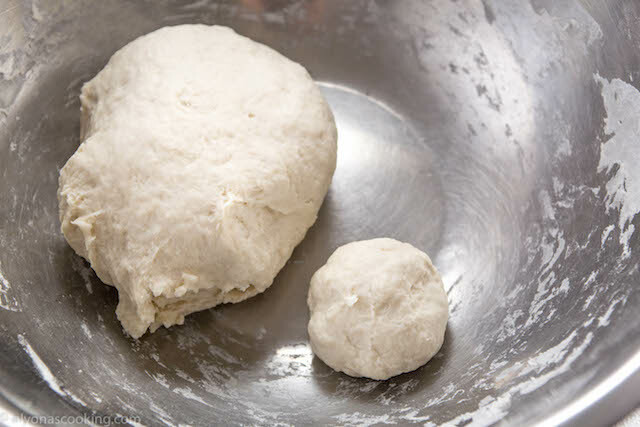 Pinch off 7 pieces of dough and form into balls. 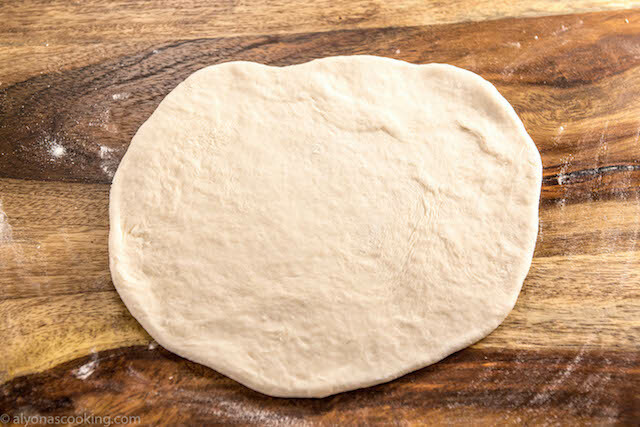 Roll out each piece on a lightly floured surface (approx 6-7-inch ovals). 4. Cook on a hot skillet for 2 minutes on each side. Serve or store covered. 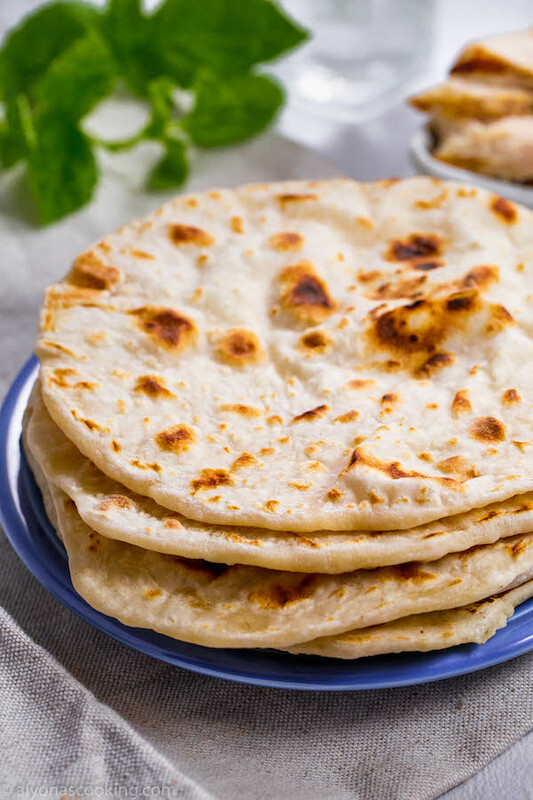 Unleavened bread is a flatbread that consists of no rising agents. Known as Matzah within the Jewish community--it represents a symbolic element with great importance. This 3 ingredient recipe is a great way to incorporate a Biblical approach to the Passover holiday. Combine the salt and flour together in a large bowl. Stir in the water until the dough comes together. Knead for 5 minutes. Pre-heat skillet over medium-low heat. 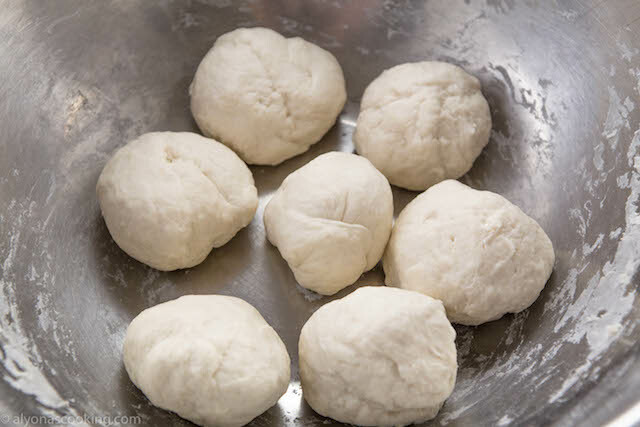 Pinch off 7 pieces of dough and form into balls. Roll out each piece on a lightly floured surface (approx 6-7-inch ovals). Cook on a hot skillet for 2 minutes on each side. Serve or store covered. I made this flatbread for our church communion and it was perfect. I followed the instructions exactly, it was easy, but most of all delicious. People came up to me afterwards and wanted more bread! I’m happy I found you!! Oh wow, what a privilege that this recipe was used for a communion, Mary! Thank you for your feedback. Instead of frying, can it be baked? Yes, this Matzah can be baked, however it may turn out on the drier side if making without oil or as individual servings. Try baking it whole @400 for 10 minutes then broiling over hi for 3 minutes on each side to get brown spotting. I like to score the top before baking that way it’s easier to break since it’s whole.